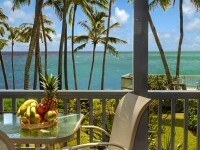 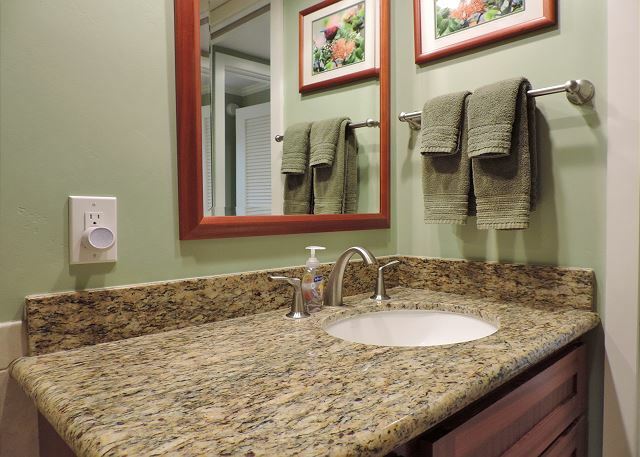 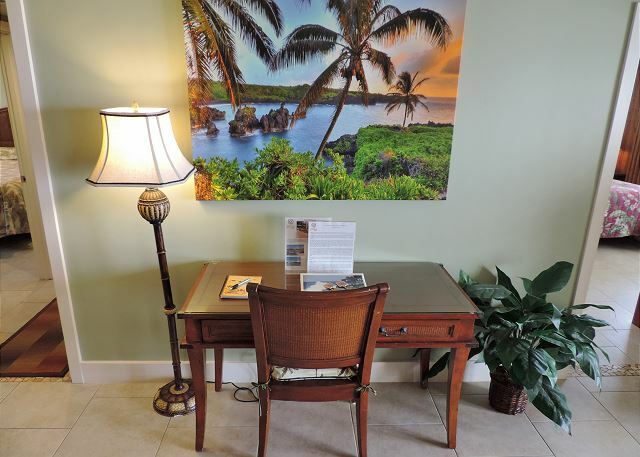 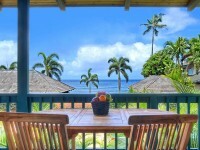 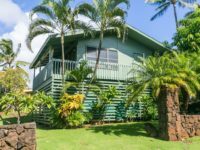 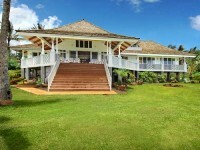 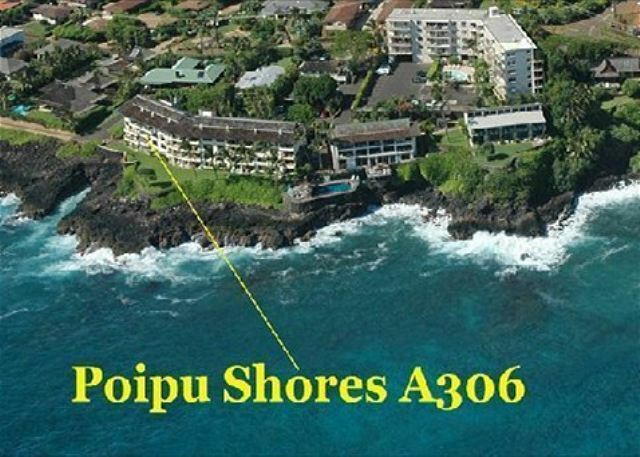 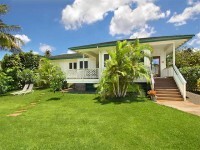 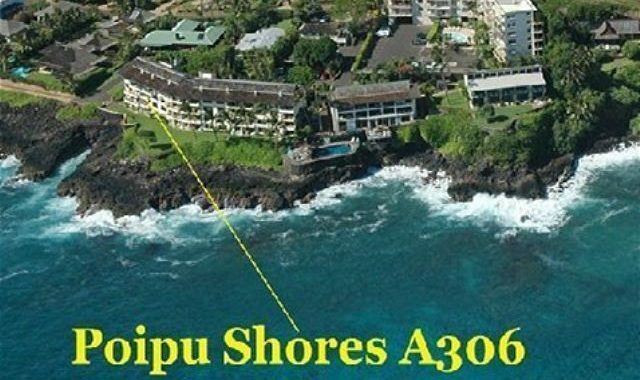 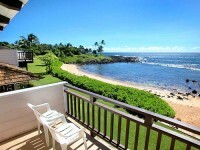 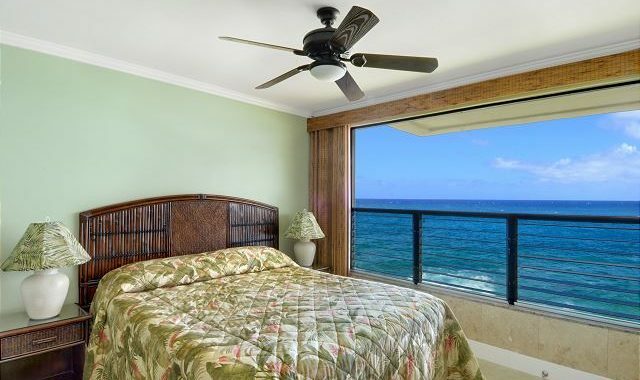 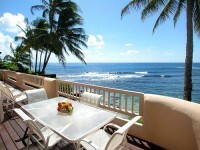 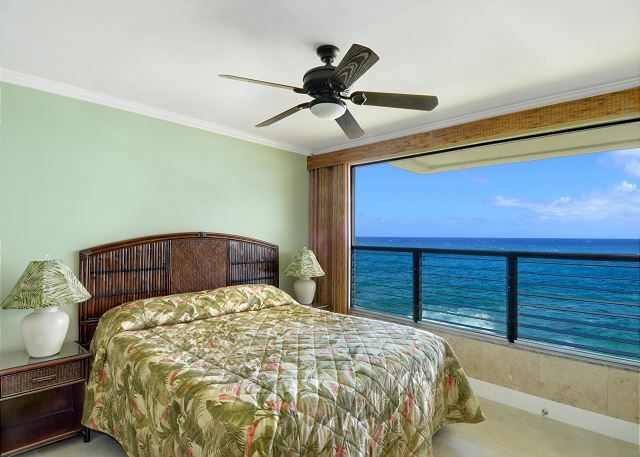 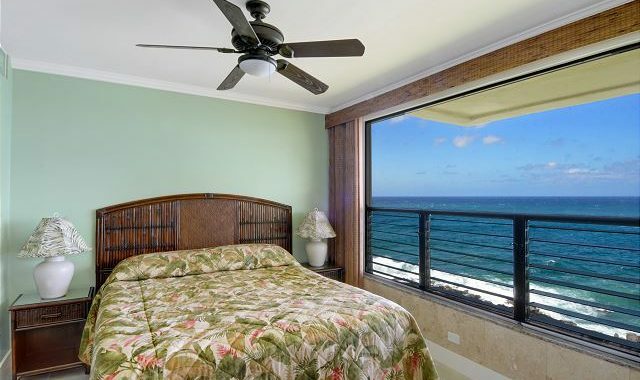 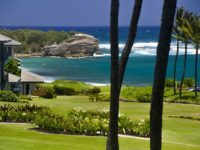 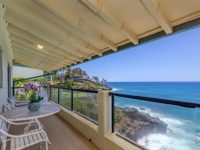 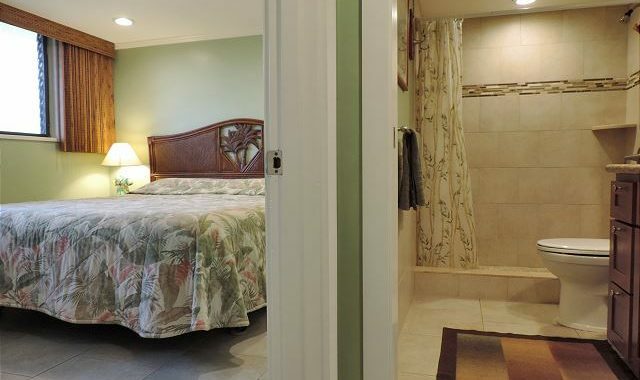 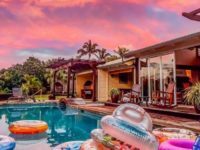 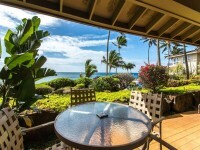 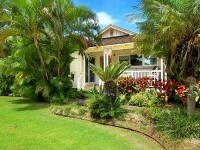 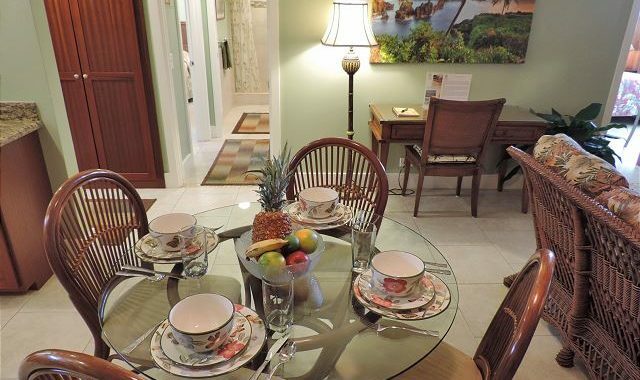 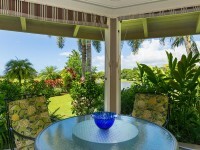 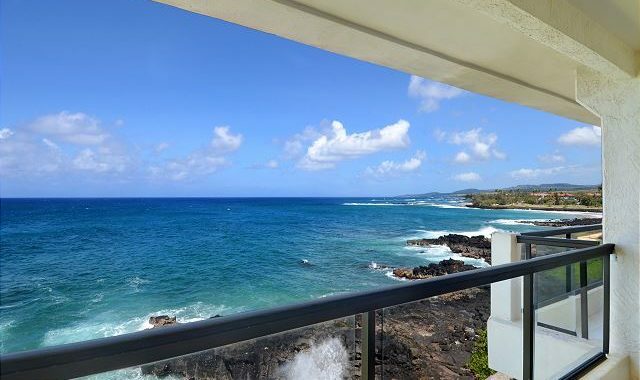 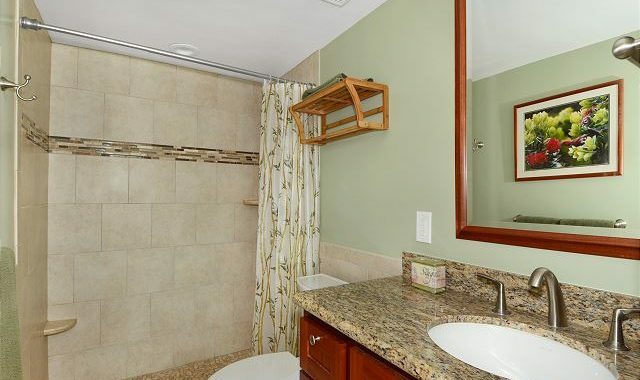 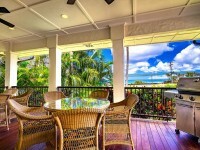 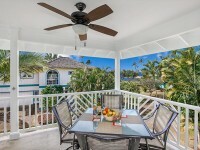 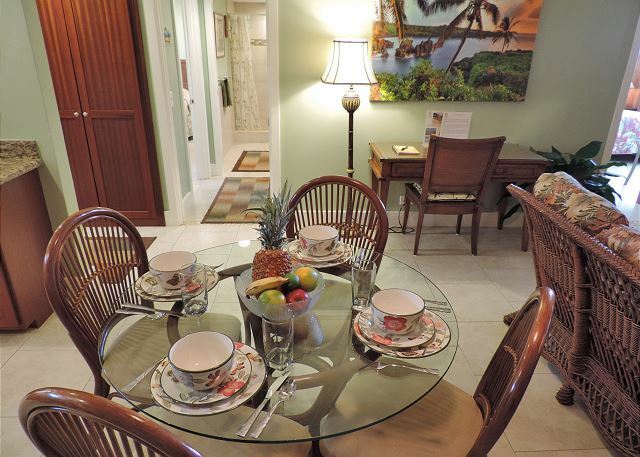 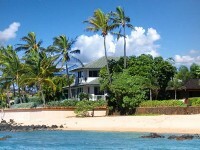 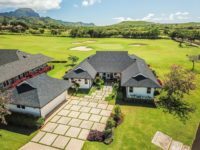 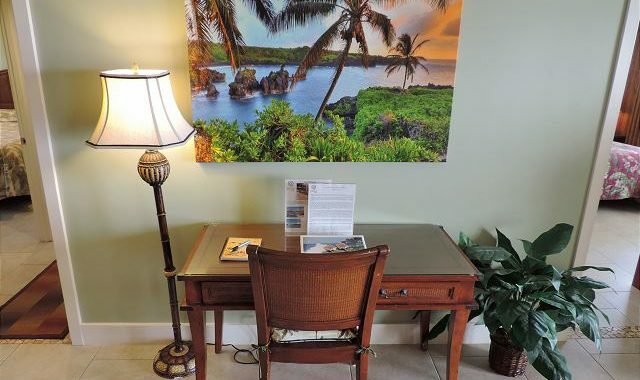 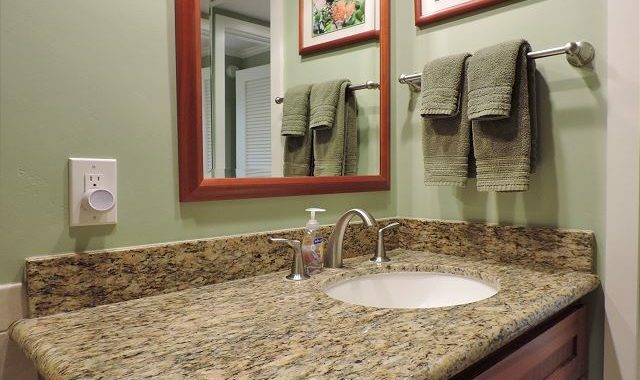 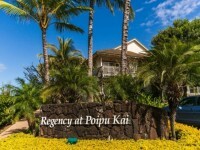 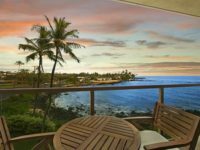 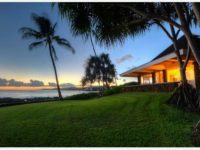 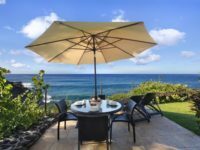 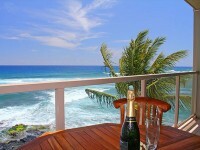 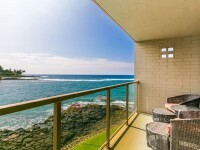 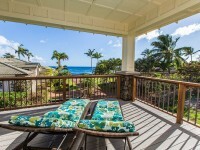 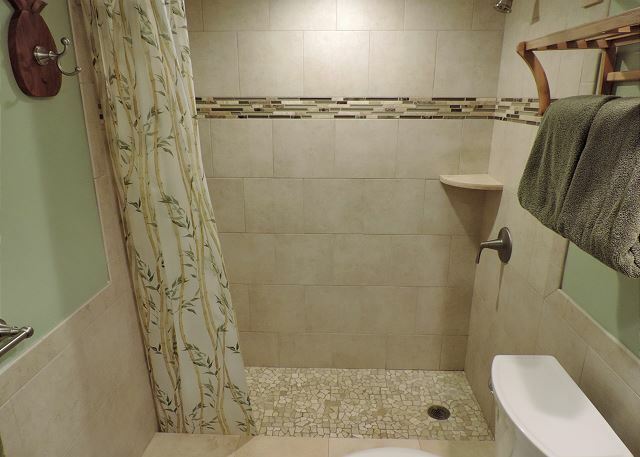 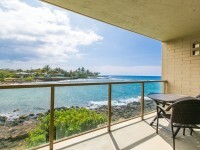 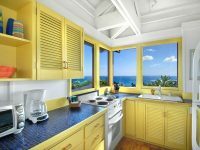 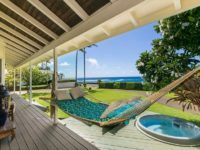 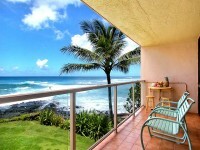 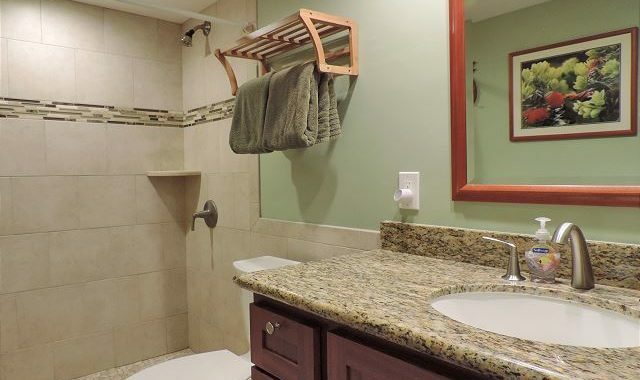 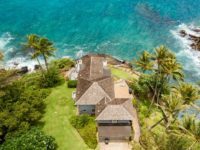 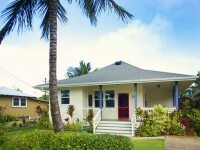 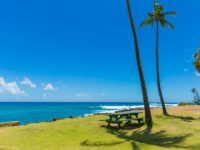 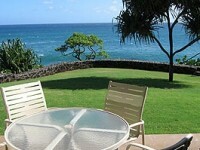 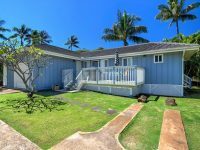 POIPU, KAUAI VACATION RENTAL: The living and dining room at the 2B/2B Poipu Shores 306A are oceanfront, right on the water and beautifully decorated. 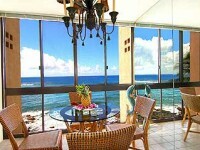 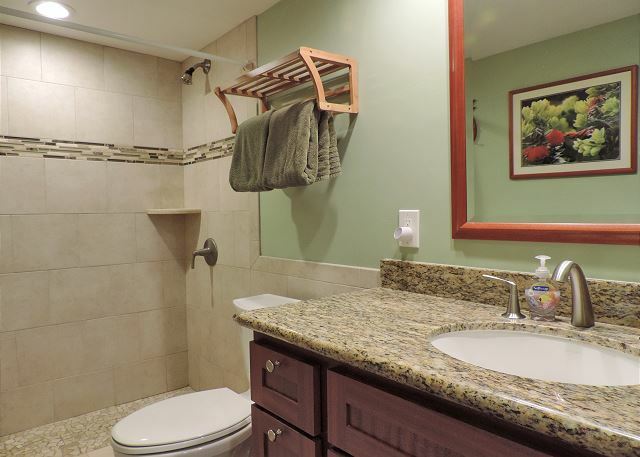 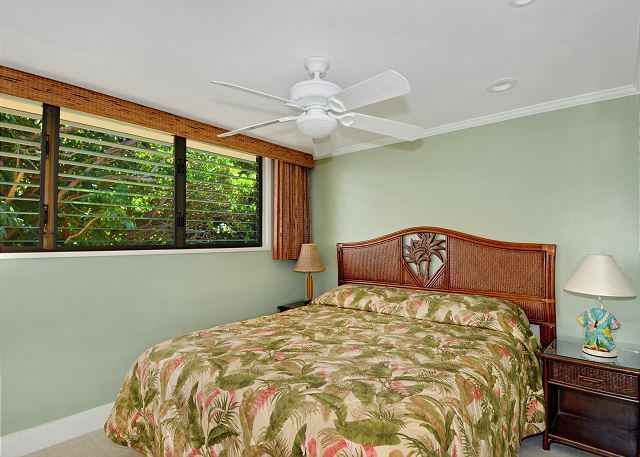 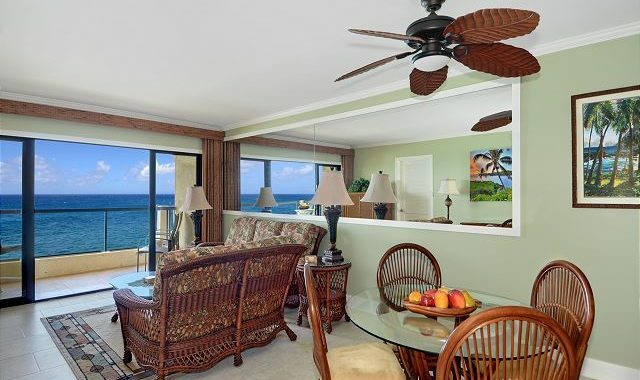 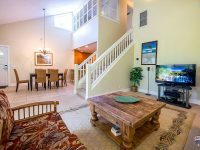 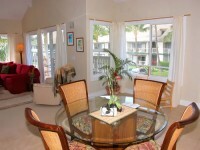 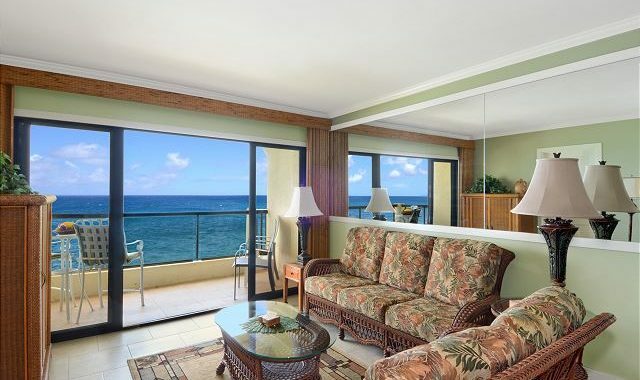 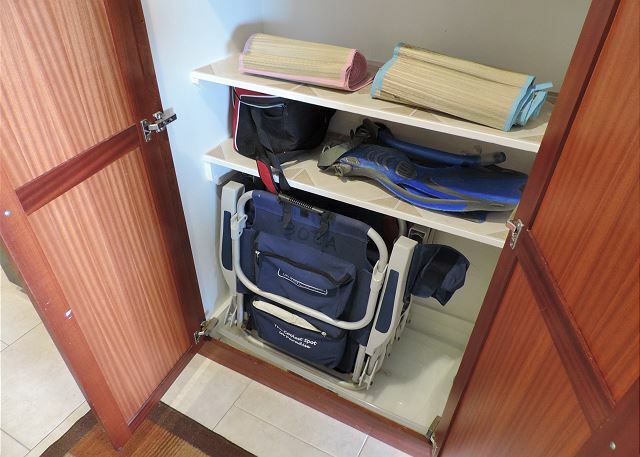 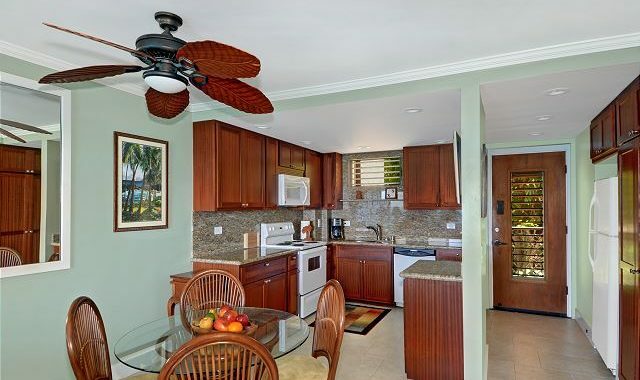 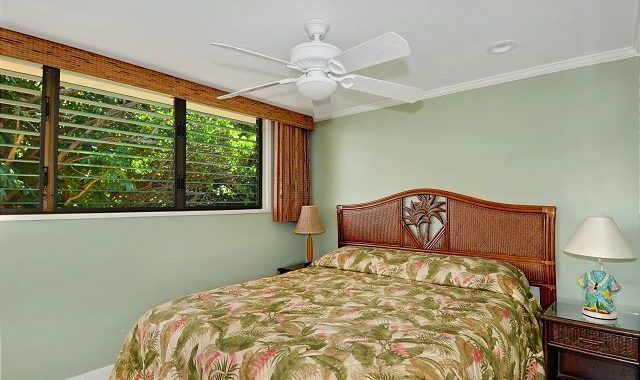 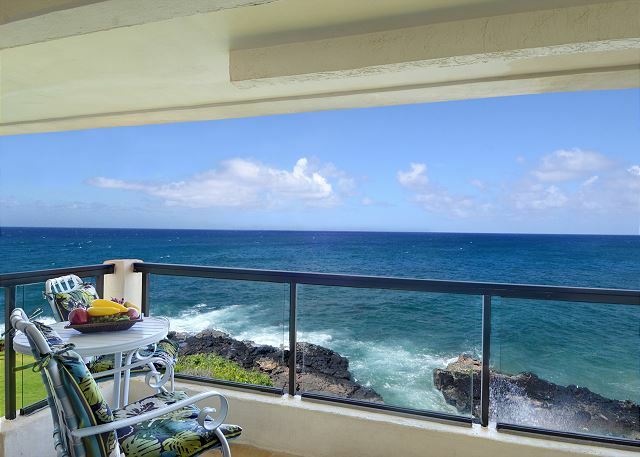 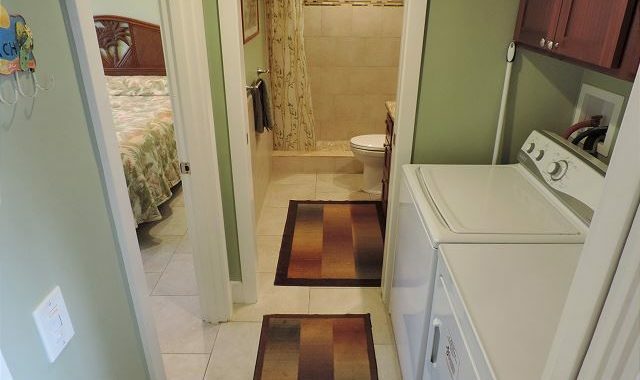 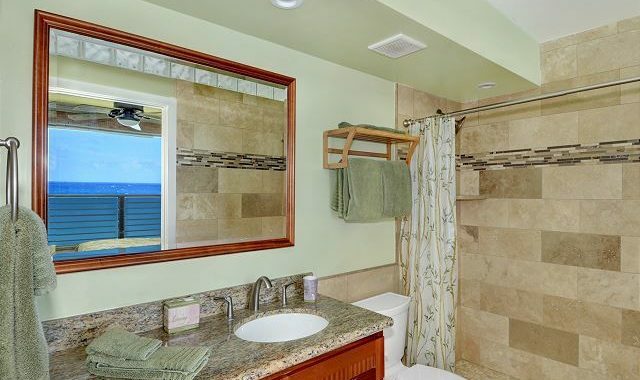 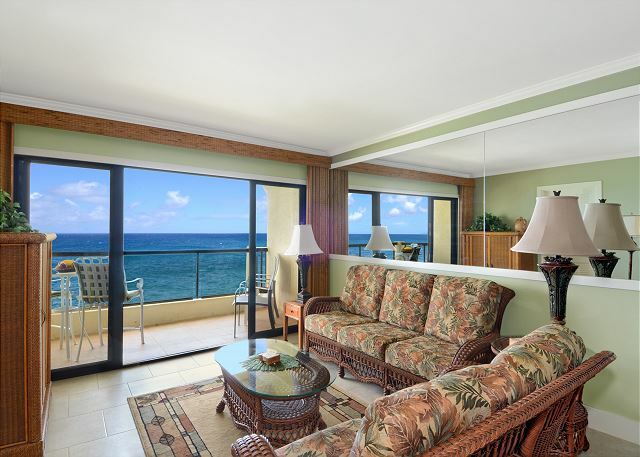 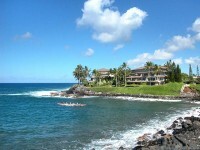 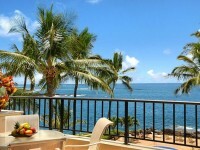 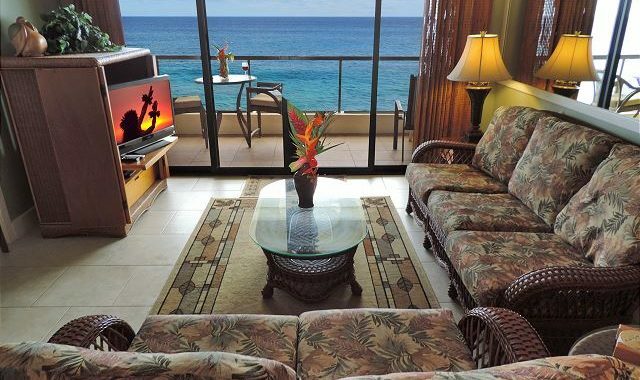 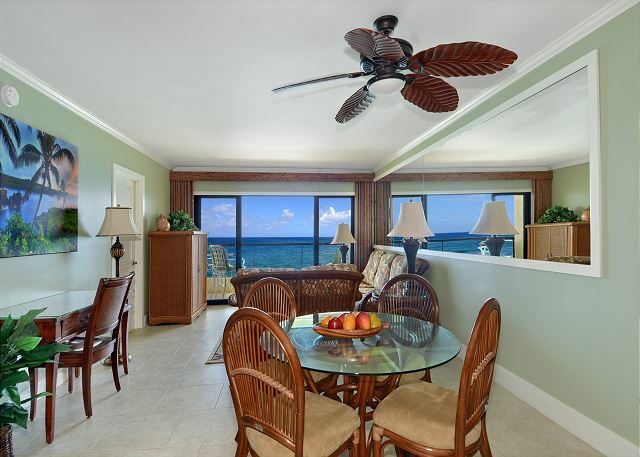 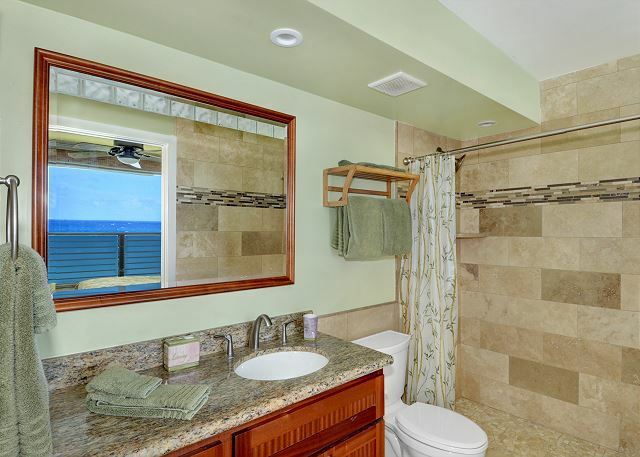 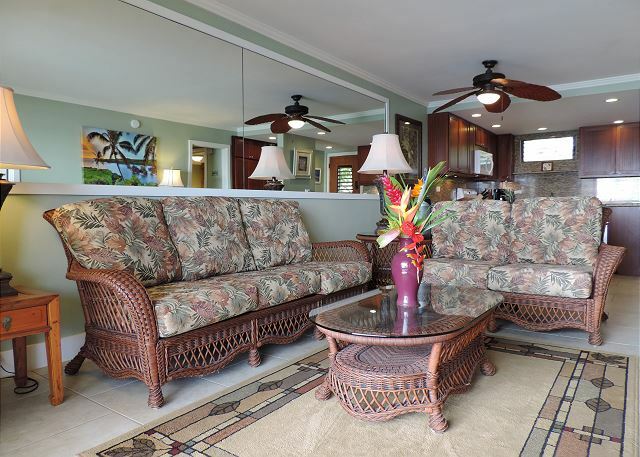 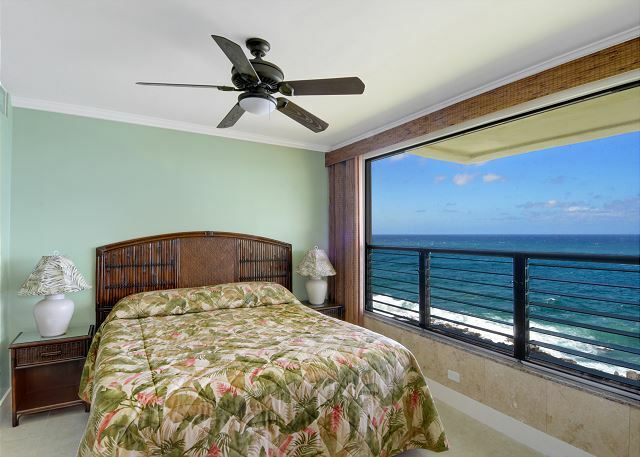 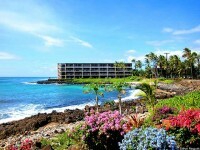 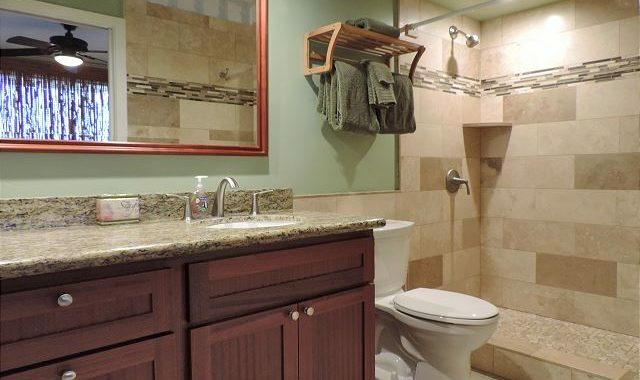 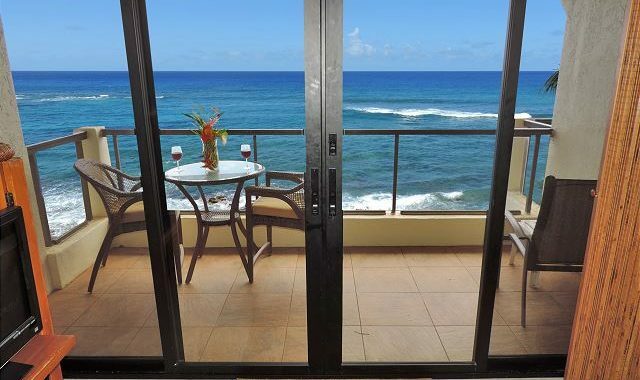 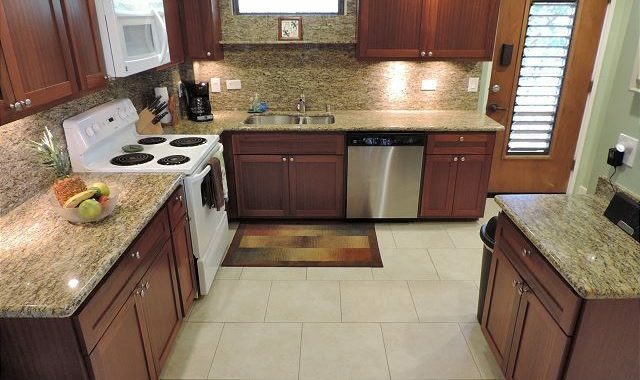 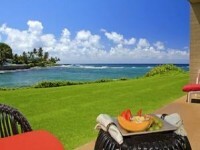 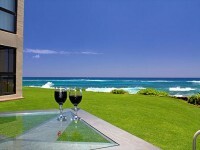 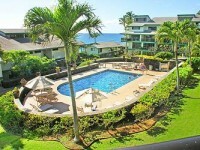 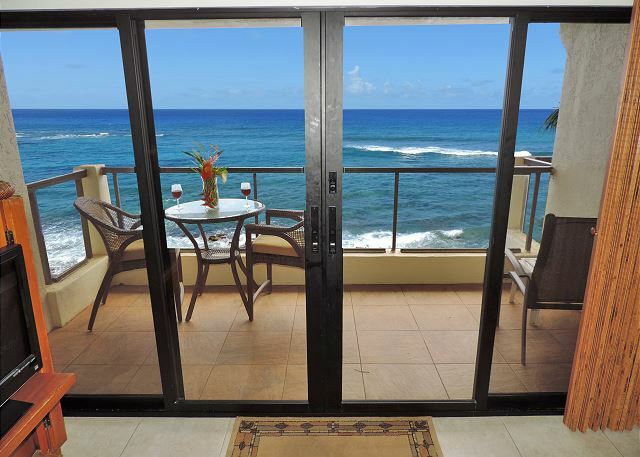 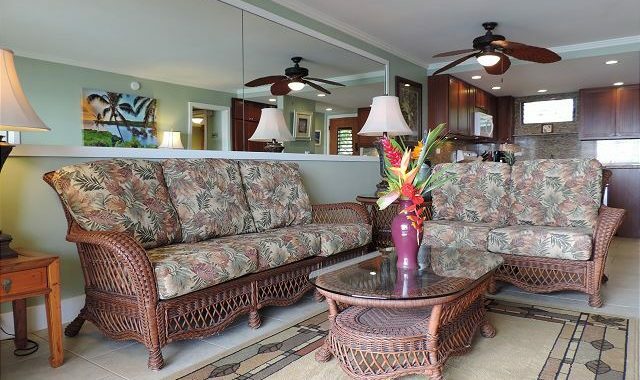 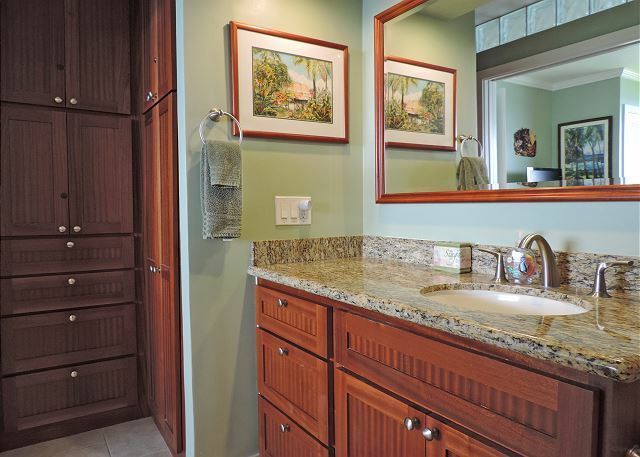 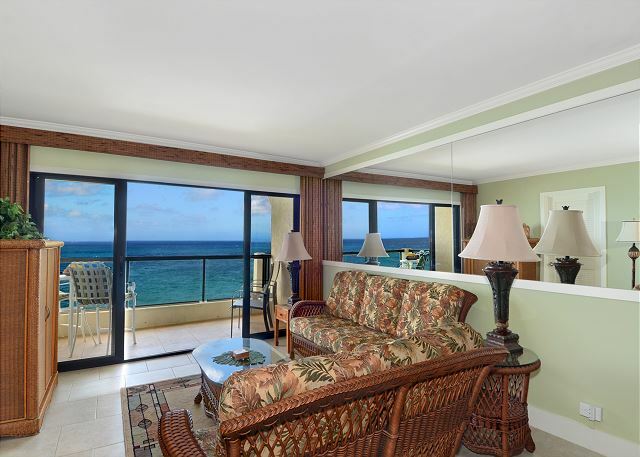 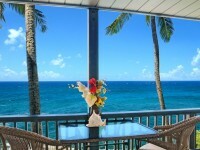 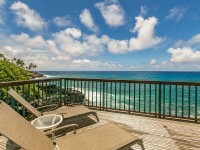 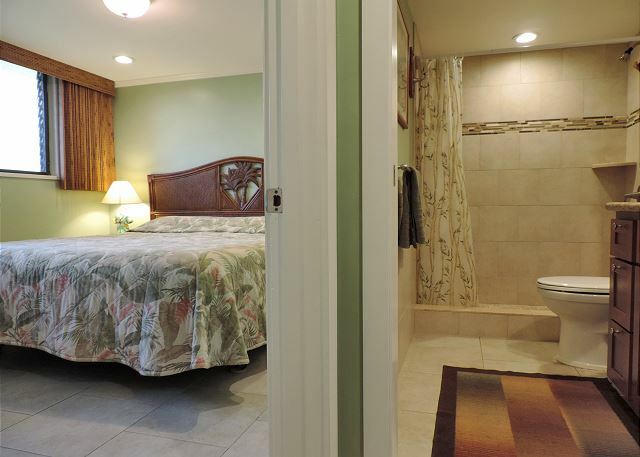 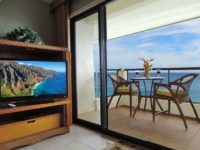 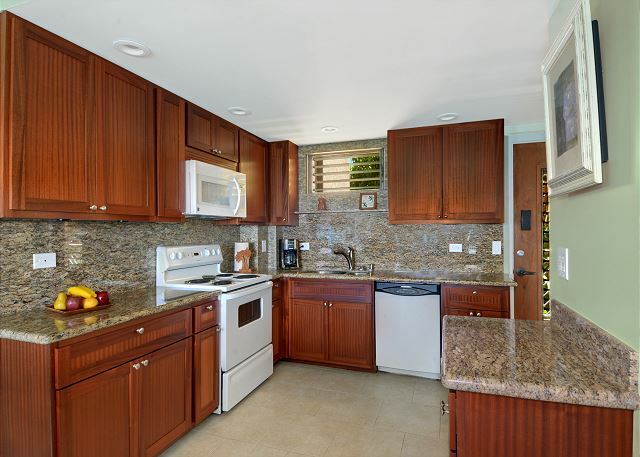 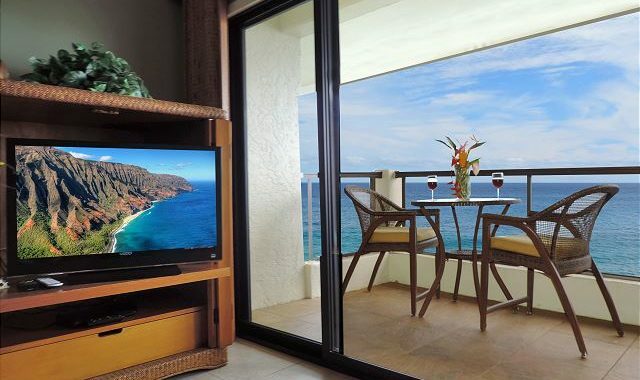 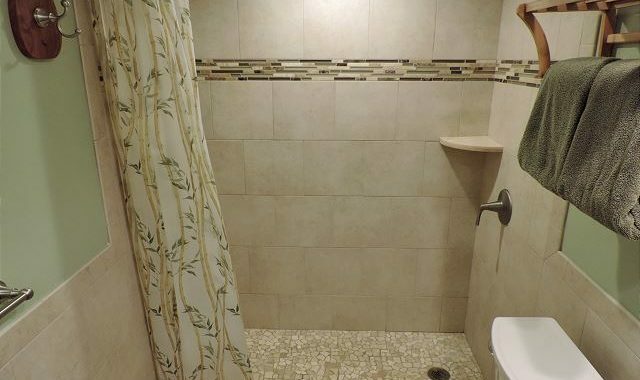 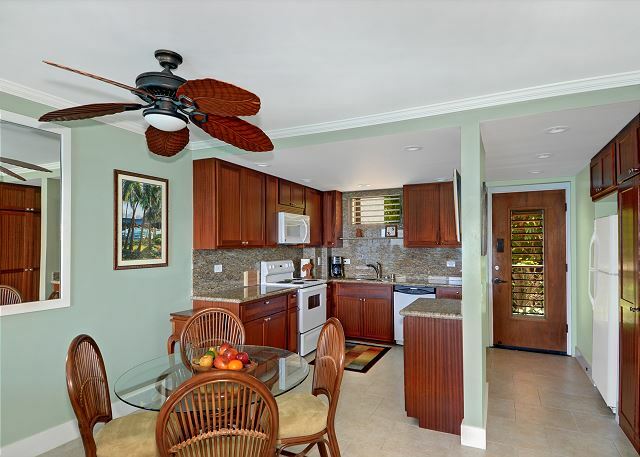 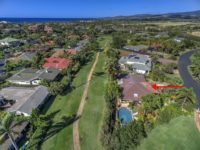 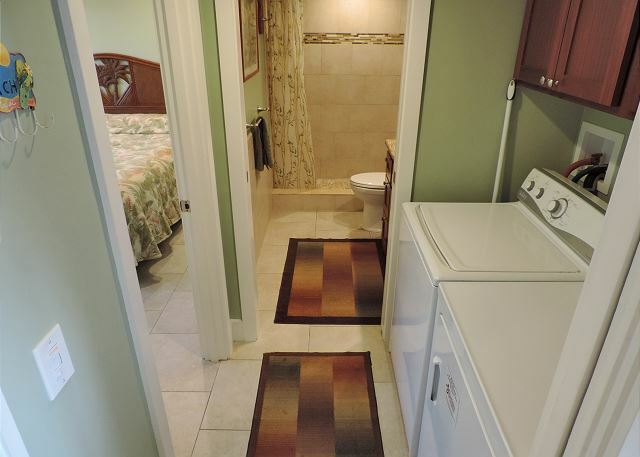 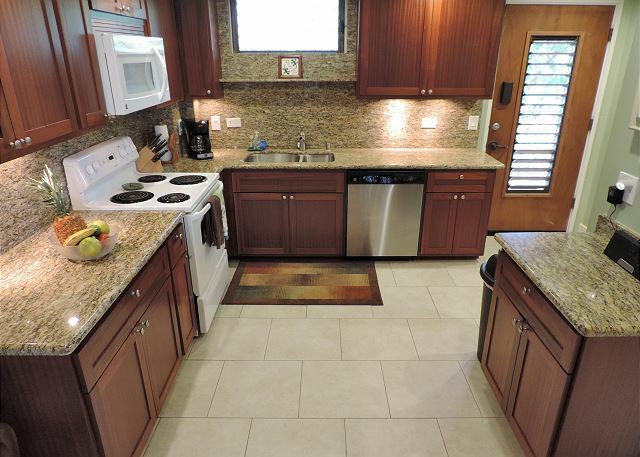 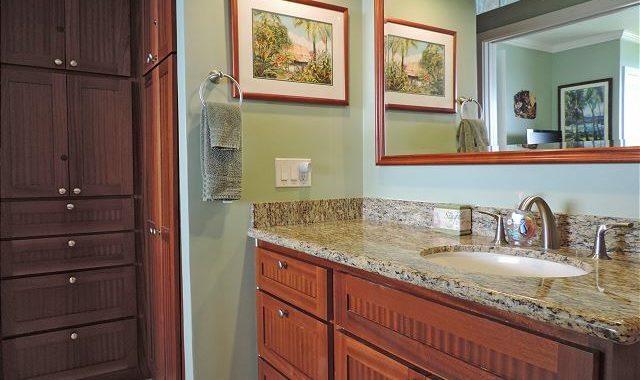 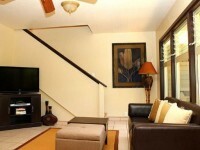 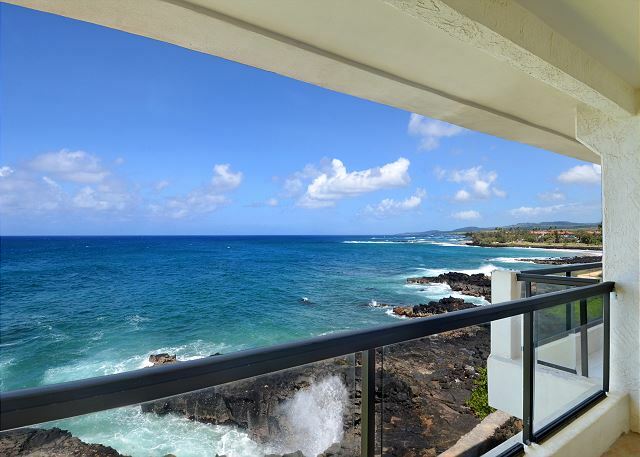 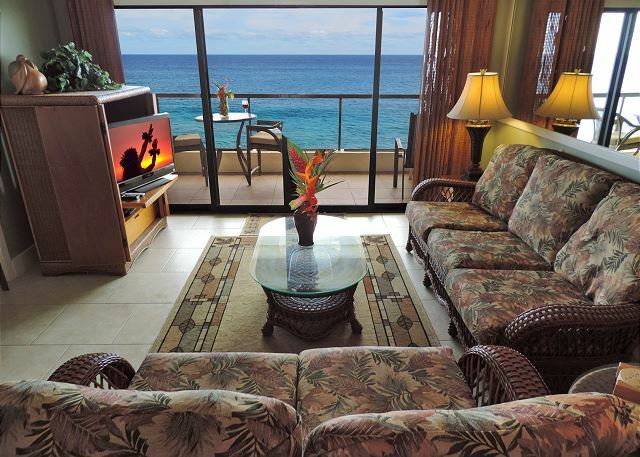 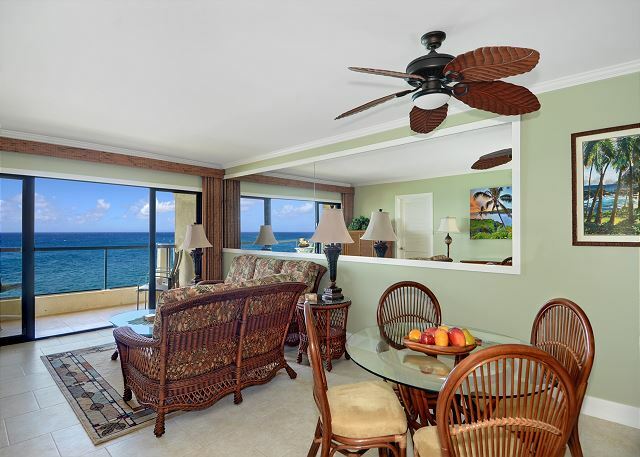 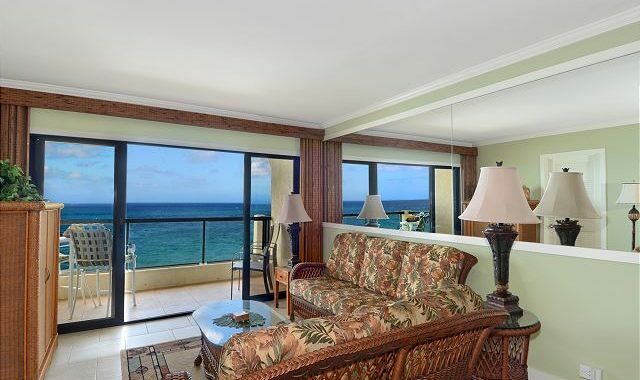 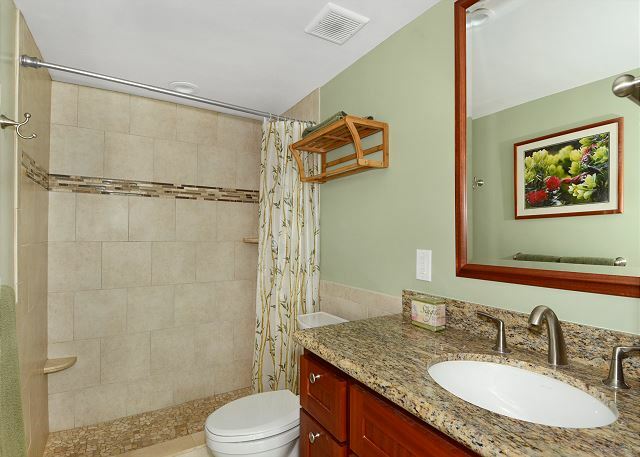 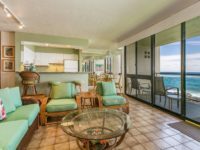 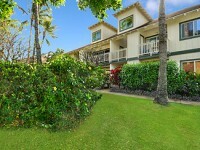 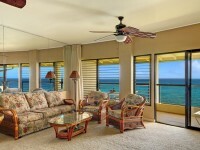 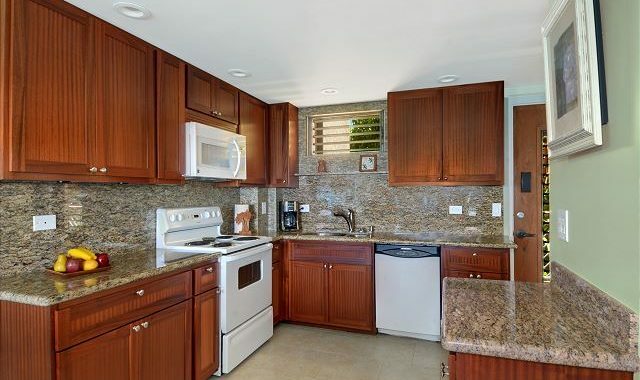 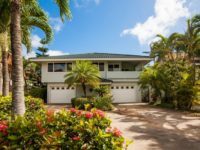 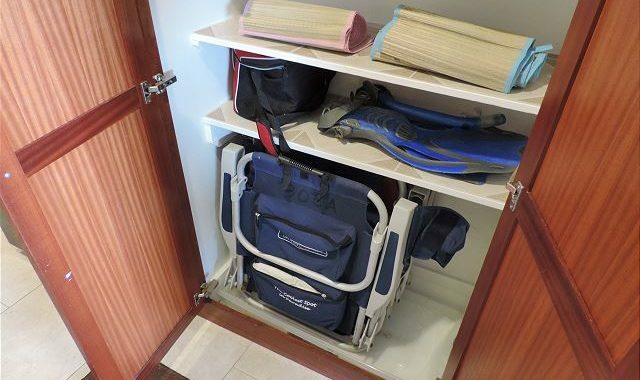 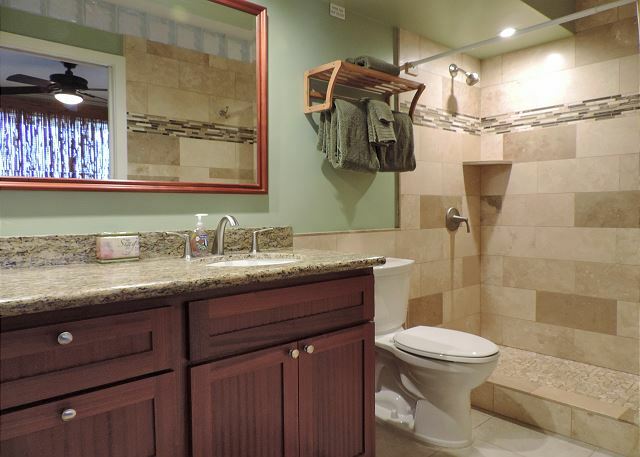 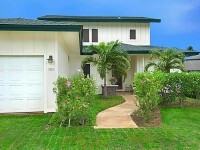 A large TV, full stereo, quality speakers, DVD and sliding doors that open to the splendid oceanfront lanai. 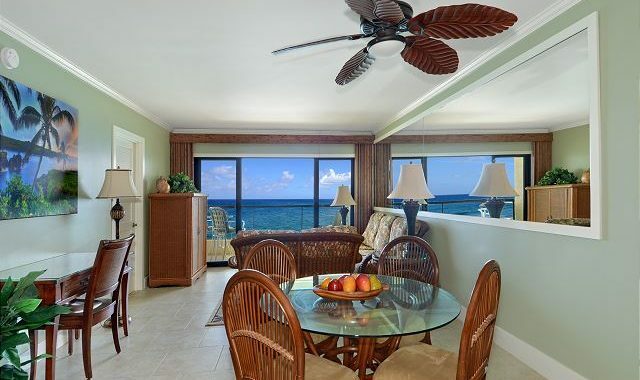 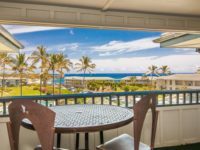 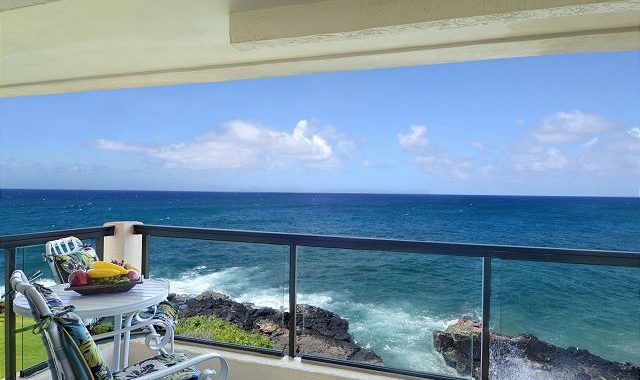 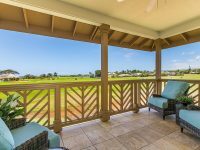 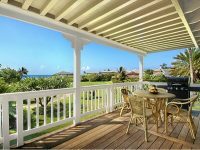 Dine in the gracious dining room or enjoy “al fresco” on the lanai’s comfortable tropitone furniture to the sound of the waves and a view to the sunset.